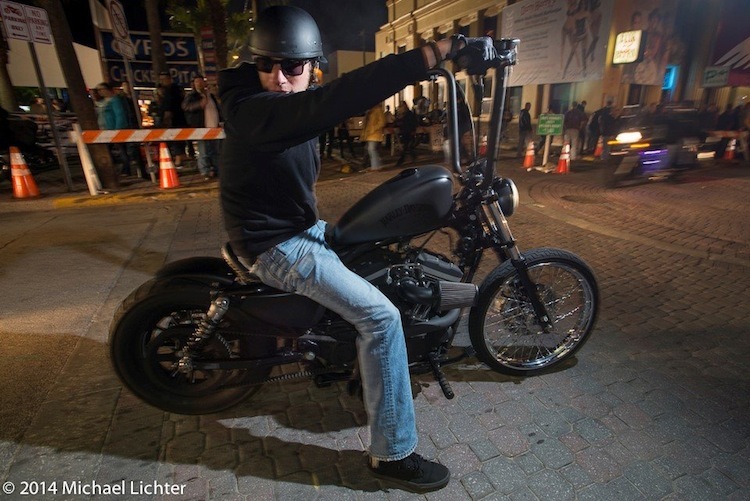 Riding Main Street during Daytona Beach Bike Week. 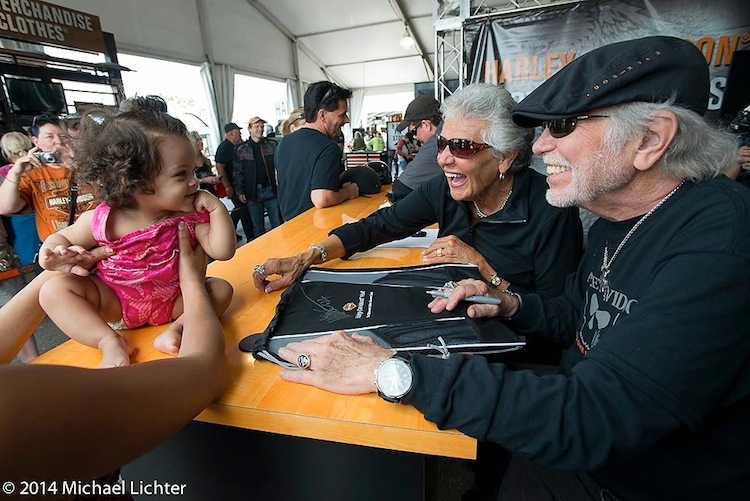 Willie G. and Nancy Davidson pause their autograph session during Wednesday’s Ride-In Bike Show at the Harley-Davidson display to say hi to a little girl that came up with a fan at Daytona Bike Week. 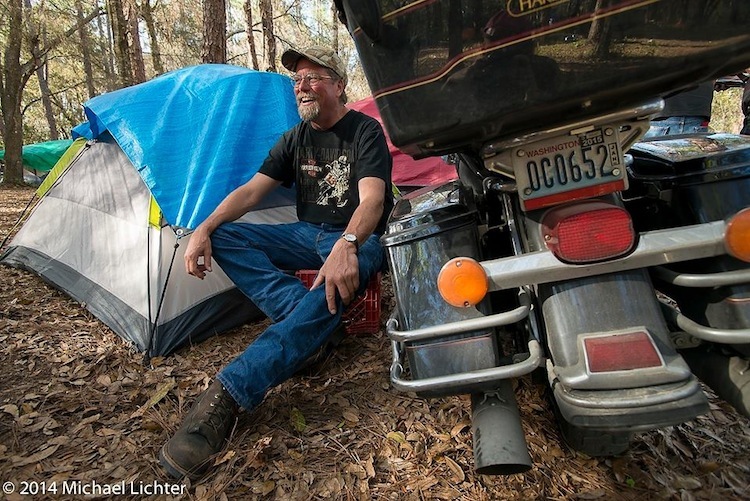 Camping out by the Cabbage Patch is giving the bikers from the Pacific Northwest a chance to prepare for their return ride of 4,600 miles to Washington state. 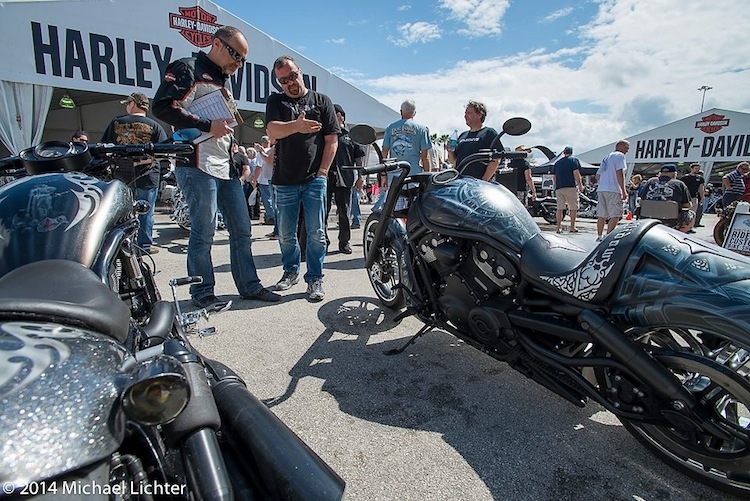 Paul James judges the open custom class of the Custom Ride-In Bike Show at the Harley-Davidson display. 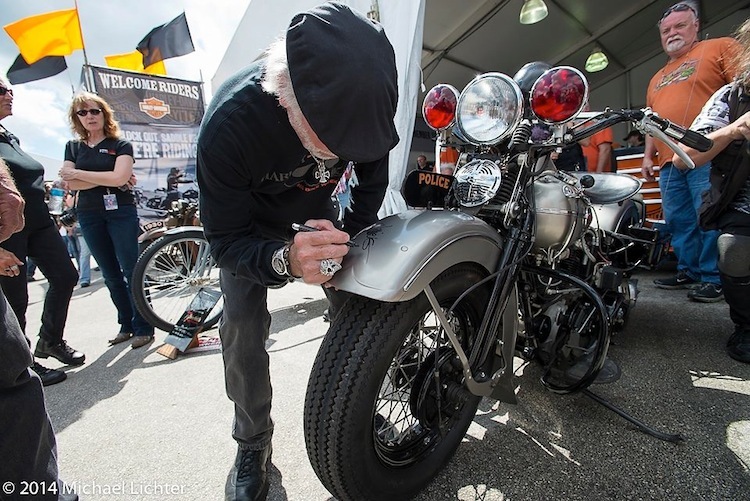 Willie G. Davidson signs a front fender during Wednesday’s Custom Ride-In Bike Show at the Harley-Davidson display during Daytona Bike Week. 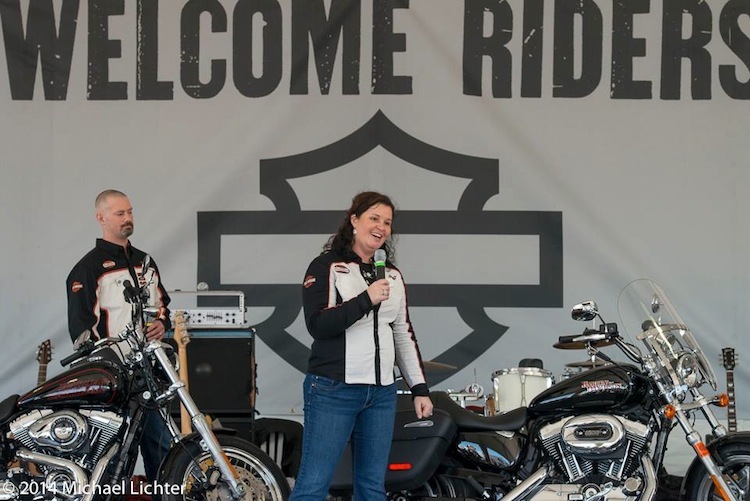 Harley-Davidson’s Jen Gersch describes the features of the new SuperLow 1200T at the Harley-Davidson Display during Daytona Bike Week. 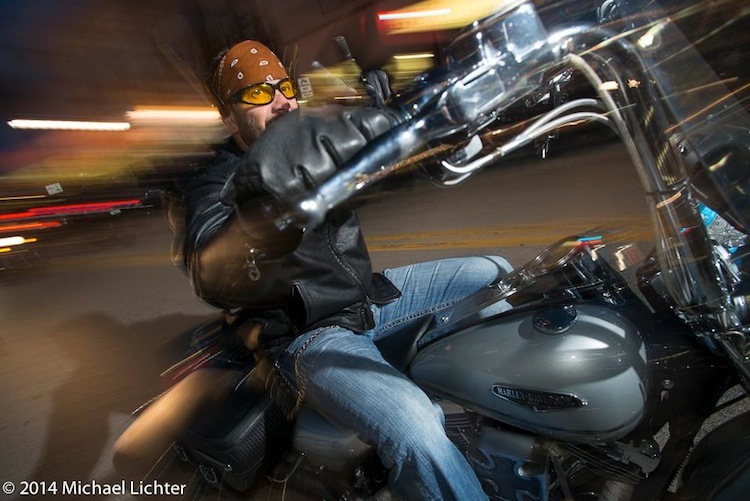 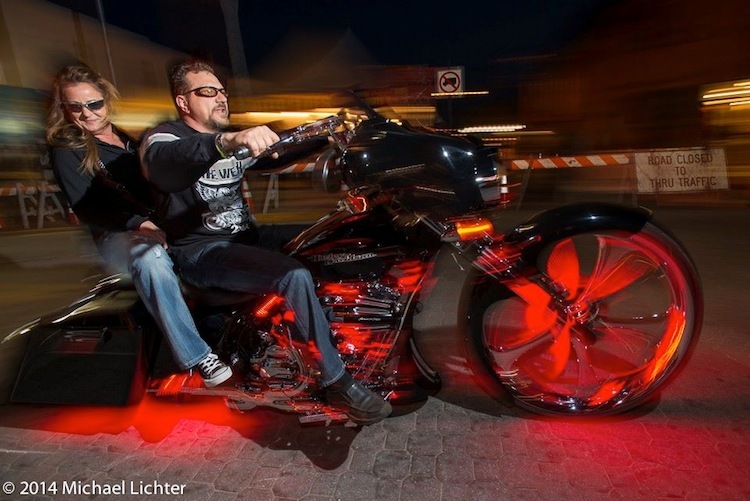 Riding Main Street on Saturday night at Daytona Bike Week! 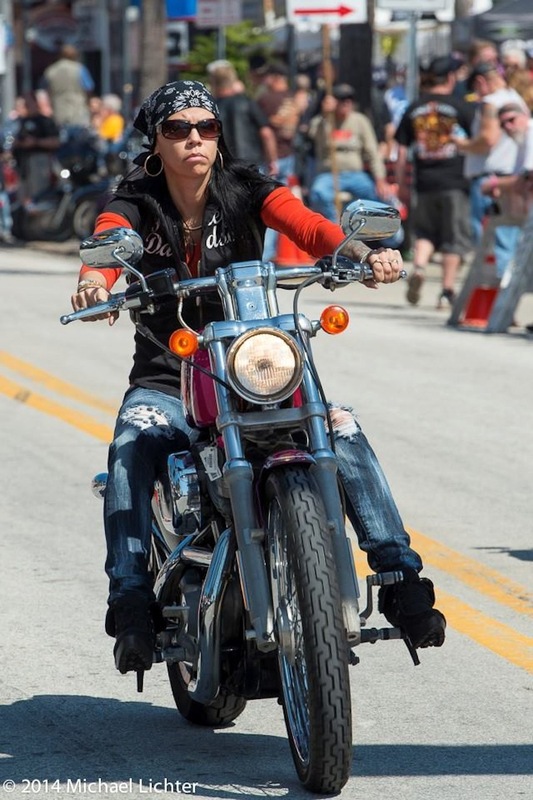 H.O.G. 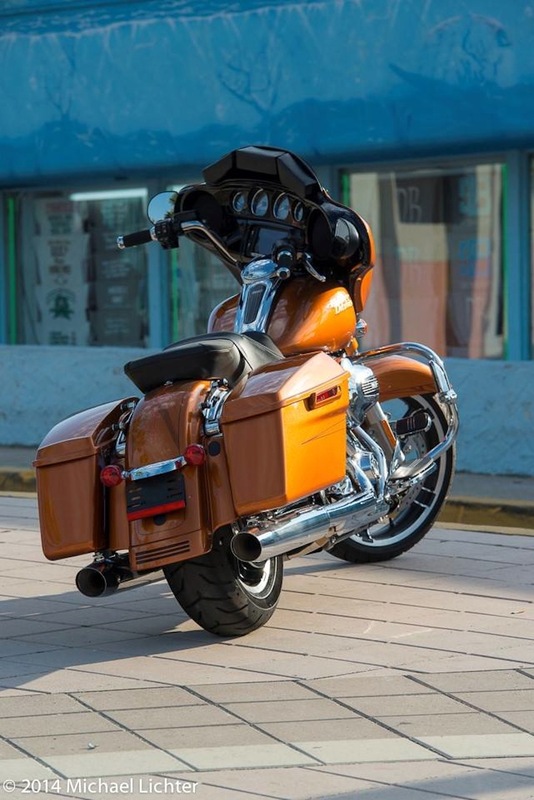 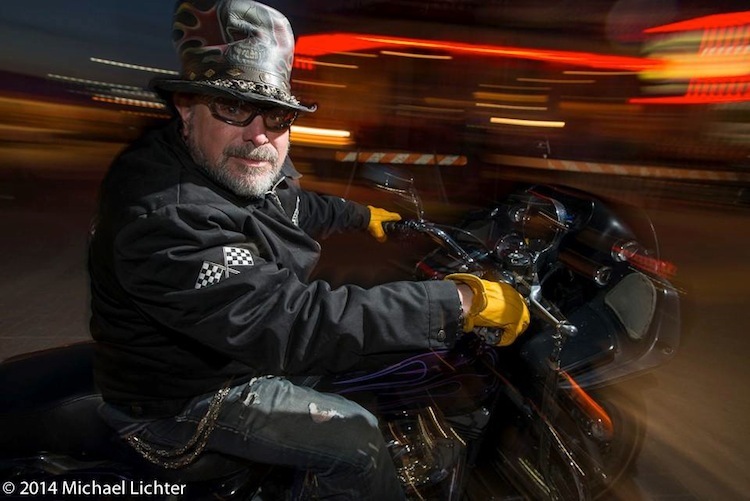 Magazine’s 2014 Project RUSHMORE Street Glide in Daytona. 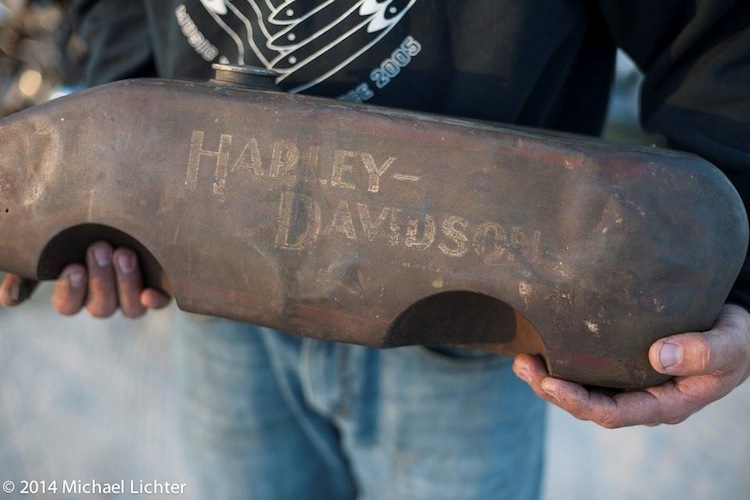 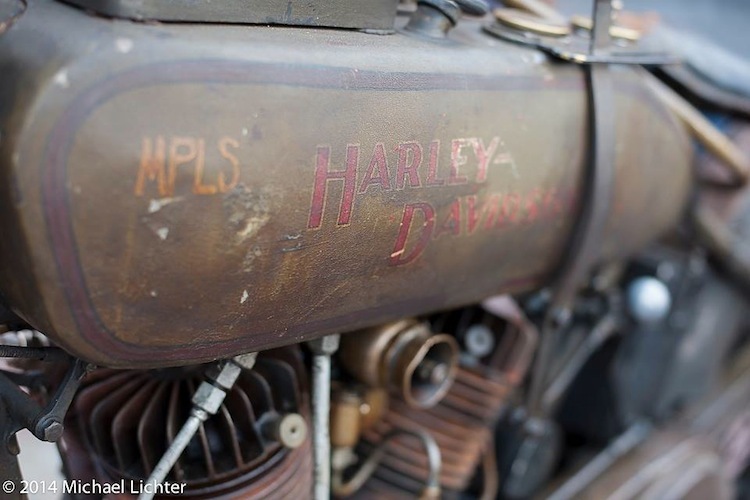 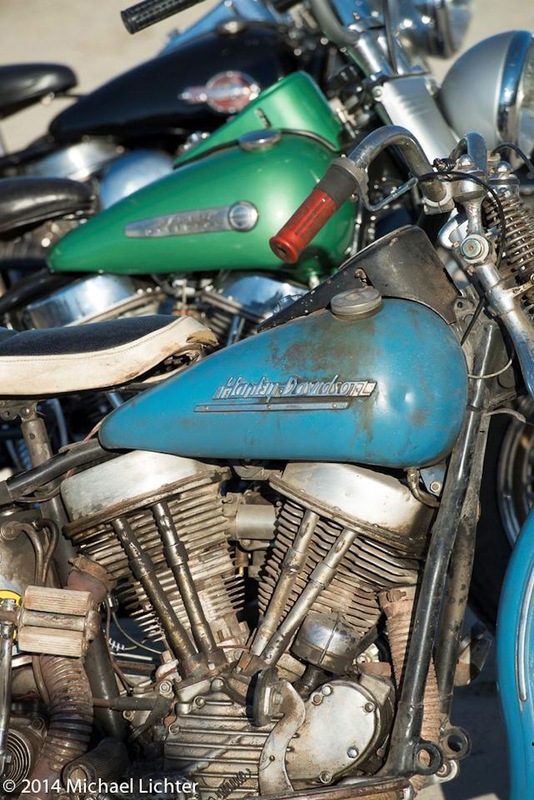 Phil Cusmano proudly holds his original paint 1922 Harley-Davidson tank at the AMCA Swap Meet during Daytona Bike Week. 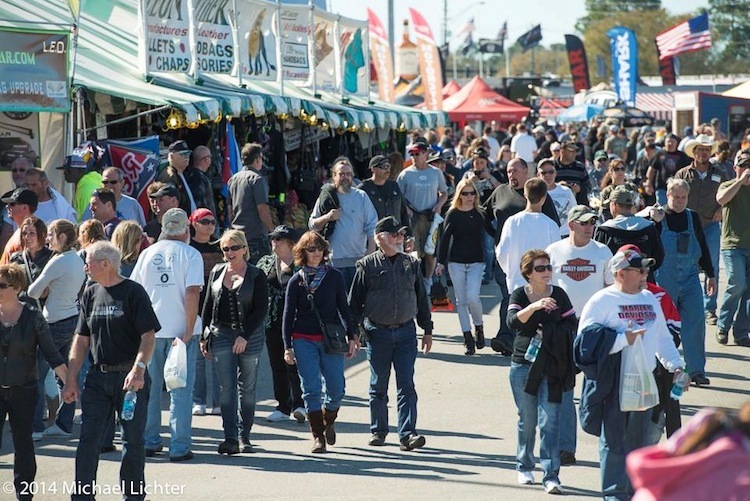 Crowded vendor row at Daytona International Speedway.